The design for The Mother Emanuel Nine Memorial in Charleston “has been in the works for more than a year,” the Charleston Post and Courier reports, “a result of a quiet collaboration among survivors, families of the nine deceased church members, the congregation, other civic leaders” and Arad, who is a partner at Handel Architects in New York. After speaking with the community, Arad developed a design that incorporates a garden space, a memorial courtyard and two “fellowship benches” facing each other across a marble fountain. 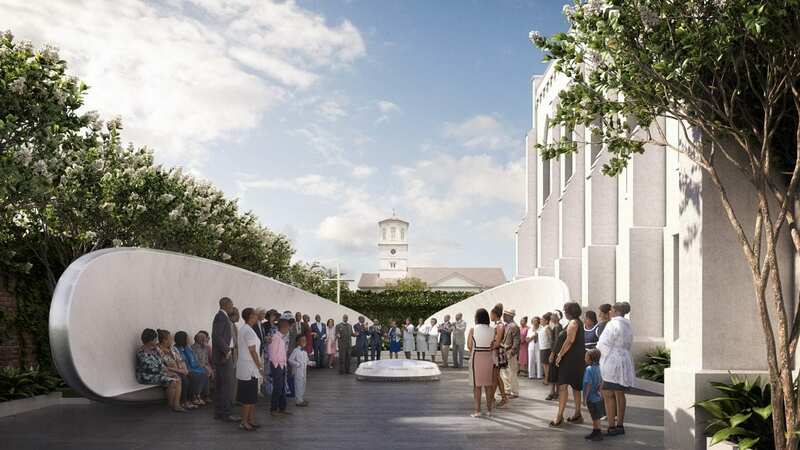 Meanwhile, the Charleston community is also fundraising for an African-American museum and the Mother Emanuel church is seeking “several million dollars for badly needed repairs and renovations,” the Times writes.